In 2016, nearly every country signed the Paris Climate Agreement. The agreement requires all participating countries to take action to reduce greenhouse gas emissions in order to keep the Earth’s temperature from rising two degrees Celsius above pre-industrial levels. Two degrees might not seem like a lot, but according to NASA it’s probably the tipping point for widespread ecological problems caused by climate change. These problems include increased sea level rise and more frequent heat waves and intense storms. After President Trump announced his intention to withdraw the United States from the Paris Climate Agreement in June of 2017, Mayor de Blasio signed an executive order committing New York City to advancing the Agreement’s goal of limiting global temperature rise. 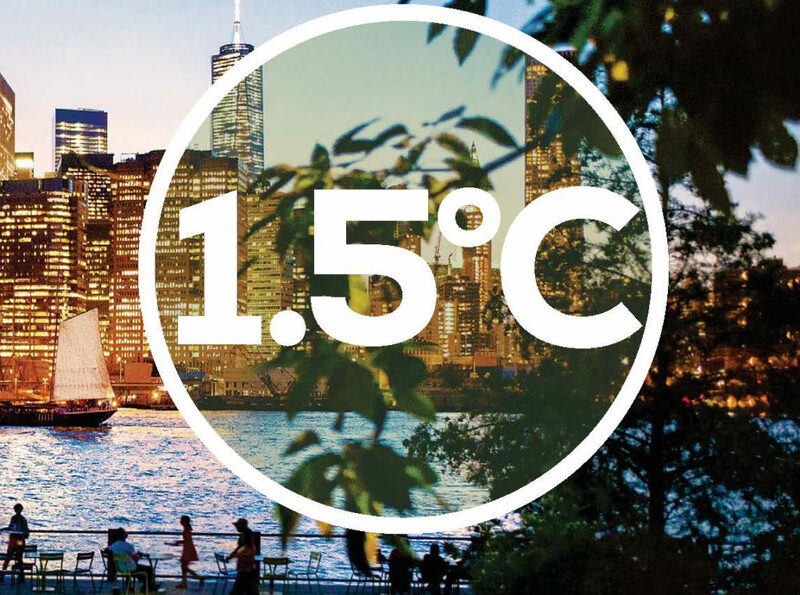 This month the City released 1.5°C: Aligning New York City with the Paris Climate Agreement. The 1.5°C action plan accelerates the City’s 2014 Roadmap to 80×50 to reduce greenhouse gas emissions by 80% by 2050. It outlines the pace, scale, and impact of the work needed to meet the C40 Cities Climate Leadership Group goal of peaking city emissions by 2020. Greenhouse gases (GHG) like carbon dioxide (CO2) and methane trap heat in the atmosphere. CO2 emissions come from a variety of natural sources, but emissions have been increasing since the industrial revolution due to human activities. These activities include burning the fossil fuels coal, natural gas, and oil, while simultaneously destroying the natural “sinks” like forests and grasslands that remove CO2 from the atmosphere. The increase in GHG emissions has led to a warmer atmosphere, and the temperature will continue to rise if these activities continue. Coastal cities like New York face a number of challenges due to an increased global temperature. According to the new plan, high-end projections show that New York City could see a sea level rise of up to 30 inches and an average annual precipitation increase of 13% by 2050. The city also faces increased average temperatures and frequency of heat waves. All of these factors would change the livability of the city and put vulnerable populations further at risk. Buildings: In NYC, the fossil fuels burned in buildings for heat and hot water account for 39% of citywide GHG emissions. This makes it the city’s biggest source of emissions. To address this, the City will apply emissions requirements to new construction and renovations across the five boroughs and provide metrics on energy efficiency. Energy: To transition away from using fossil fuels and toward renewable energy, the City will power its operations with 100% renewable electricity. The City will also work toward integrating renewable energy into NYC’s energy supply, and continue to encourage technologies that create a more flexible, distributed grid in order to increase the share of renewable energy in NYC. Transportation: About 90% of NYC’s current transportation GHG emissions come from private vehicle travel. To reduce this source of emissions, the City’s goal is that four out of every five trips a New Yorker takes will be by foot, bicycle, or public transit. To achieve this, the City will support improvements to the subway and bus systems, create new miles of protected bike lanes, and expand bike share to double the number of active cyclists by 2020. Waste: When New Yorkers throw their trash away, it goes to landfills, where it decomposes, releasing methane and carbon dioxide. The City plans to send zero waste to out-of-state landfills, thus minimizing the overall environmental impact of our trash. This is being accomplished with the help of the organics collection program, which allows the Department of Sanitation to collect food scraps, food-soiled paper, and yard waste from residents in select areas and turn it into compost or renewable energy. The City aims to accelerate the diversion of organics from landfills by launching a food waste reduction education program, expanding the organics program to serve all New Yorkers, and enabling the separation of all food waste. The 1.5°C action plan serves as an example for how cities can combat climate change. 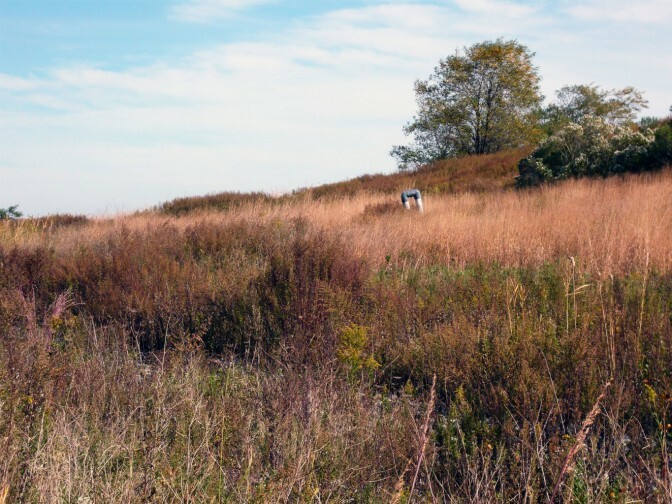 New York City has established itself as a leader in large-scale land reclamation with projects like Freshkills Park. The City is also charting a new course for how local governments can decrease wastefulness and increase sustainability on a citywide level.